Royal Brompton & Harefield NHS Foundation Trust is the largest specialist heart and lung centre in the UK (and one of the largest in Europe). As such, the Trust's 2,5000 staff must be highly skilled, well-trained and - most importantly - fully compliant. Provided the Trust with a flexible system capable of adapting to the ever-evolving challenges facing the NHS. As the client put it: ‘Our requirements are not, and never will be static – we need a system that can change with us.’ This included the ability to upload in-house and external course materials to a user portal, real-time online course booking and insightful reporting tools used to track all training and compliance-led learning. The changes our system delivered led to savings of £50k. Our software enabled the Trust to unify every aspect of course administration on a single, accessible platform. This means that the client has total control over every stage of the learning process, from course booking and tracking to post-course online evaluations. 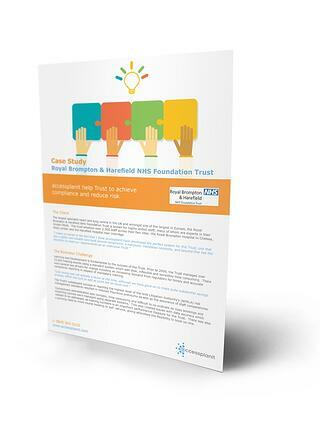 Get your free case study today, and explore how we saved Royal Brompton & Harefield NHS Foundation Trust £50k.